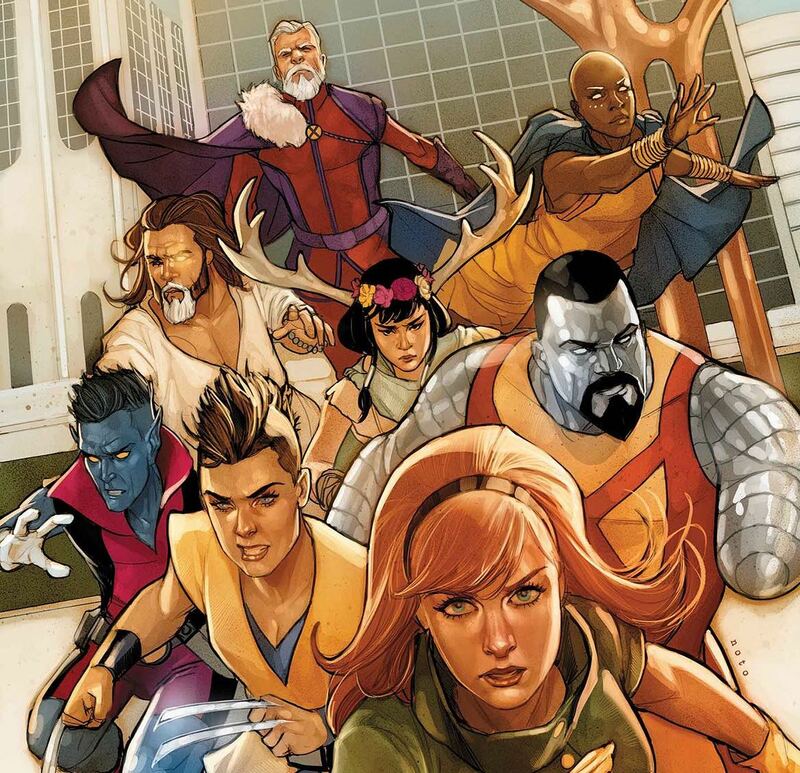 'Age of X-Man: Marvelous X-Men' #1 review: Boulevard of broken dreams – AiPT! Can there be utopia when we’re all always alone? Age of X-Man: Alpha #1 was one of the most refreshing X-Men comics I’ve read in a long time. It didn’t require robust knowledge of every character’s backstory, nor did I need to read other comics to enjoy it. It offered a new sort of taking on X-Men with a big mystery underpinning it all. It also set up interest for other miniseries coming out soon without feeling like a sales pitch. The book overall set up what could be a super-mutant team like no other, which is a big reason why this new series is so good. It’s sort of odd to read about mutants who are content with life. They aren’t hated, hunted, or even unhappy. It’s probably why there’s an uncomfortable undercurrent as this story unfolds. Call this a superhero book with a big secret. Note the paintings in the bottom panel. Utopia may not be all its cracked up to be. We already kind of know this from various books and movies (The Giver comes to mind), but also because it’s pretty messed up love is outlawed in this comic series’ universe. But I’m getting ahead of myself. This issue reveals the superhero team of this dimension where the X-Men are basically the Avengers. You get a taste of what their day to day life is and readers soon learn simply by following them around something ain’t right. Zac Thompson and Lonnie Nadler open the issue with captivating captions that draw you into the mindset of a law-abiding citizen. Much like the Alpha issue, they completely blow me away with the thought-provoking captions. Imagine a world where everyone is safe and happy, but also alone. It’s a slightly unnerving element that is juxtaposed well with the cheery art and colors. As the story unfolds we learn more about an uprising but really that uprising may be laying wait inside each of our favorite mutants. The art is by Marco Failla with colors by Matt Milla and letters by Joe Caramagna brings a positivity that is hard to resist. These characters seem quite happy, and some much happier than we’ve seen in other stories. There are also some fun, subtle details that are easy to miss but add a layer of complexity to the art. Take for instance the cul-de-sac of homes the X-Men live in, with each house having a fun unique look that matches the hero. Pictures line walls here and there that add a bit of context to flesh out the history of the X-Men. I see what you’re drawing there Colossus. I wanted there to be more to the threat in this issue. There are forest fires that need handling, but here and there the way the heroes talked, it was as if something much more complex and nefarious was afoot. Nope, instead, it’s just a big fire that they had a hard time handling. Huh. Obviously, a mutant uprising is only brewing at this point, but it did leave me wanting when it came to seeing this team in action. It also made me wonder why this team is even necessary when there are mutants all over and the worst threats are forest fires, but the issue focuses more heavily on X-Man’s secret. This is a good issue that opens and closes excellently. Most of the issue is focused on a somewhat minor threat, but underneath it, all is an unease that gives the story mystery that’ll drive your interest and make you wonder what comes next.